Throughout life, there are various reasons why you may need to look into taking out a personal loan. Instead of being ashamed of it, you should view personal loans as a chance to change your financial situation and an opportunity to transform your economic outlook immensely. If you are looking to get a personal loan, then keep in mind that the best bank in the UAE will use your credit score as the primary determining factor to decide if you are a desirable candidate for this loan. Furthermore, your credit score will be used to determine how much money you will collect and what your interest rate will be. Here are five instances wherein a personal loan can rescue you. Generally, the most common reason why people acquire a personal loan is to consolidate their debt. This can work by either paying off current high-interest debt with a lower-interest personal loan or by merging present debt obligations into one personal loan to make debt repayment more orderly and less overwhelming. By opting to use a personal loan to solidify a high-interest credit card debt, you will be in a position to receive a lower interest rate to assist you in paying off your debt sooner. That being said, you can't use having a personal loan as an excuse not to deal with your current debt. Instead, you must view obtaining a personal loan as an opportunity to take advantage of the lower interest rate and lower monthly payments, and accelerate the time it takes you to pay off your credit card debt. There are many scenarios wherein an individual, a couple, or a family need to make a large purchase — and right away. Perhaps you desperately need new appliances in your kitchen, furniture in your living room, equipment for your business, or something else similar. In scenarios wherein you know you need to pay for a large purchase that simply cannot wait, you can look for a personal loan to make it easier to get. Additionally, if you are looking to purchase a product on hire purchase or credit, then it would be better to take out a personal loan and pay up front in full than add the cost to a credit card. Unfortunately, there are many events and circumstances in life that we can't all always be fully prepared for. When it comes to medical emergencies, often the cash that is needed to pay the bills is unavailable at a moment's notice. In situations involving a medical emergency, a personal loan can make a significant difference as it can aid you in paying for any necessary emergency costs without adding more stress to what you are already going through. Right after you graduate from university, there is a high chance that you aren't making the amount of money that you expect to be making in a few years. In fact, those first few years after graduation can be some of the scariest, especially if you are burdened with student loans and other debts. That being said, you are probably confident that in a few years, your situation will be different as your income finally starts to increase and reflect your higher education. However, while it may seem harmless at the time to add a little more to the debt, if you are using credit cards to help you with living expenses right after university, then you may find your owed balance quickly adding up. A better solution to this issue is to take out a low-interest rate personal loan. Getting married is one of the most moving events in anyone's life, but it also can be one of the most expensive. While you could potentially spend years working and saving for your wedding, you could also finance the wedding, engagement ring, or even the honeymoon through a personal loan. However, remember that taking out a loan, especially for such an important day, is not a decision to be taken lightly. Before you and your partner agree with this decision, you must ensure that you both comprehend the impact that this loan payment will have on your future life and expenses. Before deciding on anything, spend some time producing a budget that examines all of the costs of the wedding and a plan for paying off everything. As you can see, there are a variety of instances whereby taking out an easy personal loan is a useful option and may rescue you. If you find yourself in any of these situations and looking to either save money, pay for a sizeable one-off purchase, or meet an emergency need, then a personal loan may be your most excellent answer. Have you ever taken out a personal loan? How are you dealing with debt? Let us start a conversation in the comments below! How Can a Business Take a Case to Court Without Breaking the Bank? Funding a case and going to court can be a very expensive endeavour. The process is complex, lengthy and time-consuming. Some cases can last as long as five-years, therefore the financial costs for businesses can be extremely damaging. Should firms lie back and not pursue justice, simply because it is so pricey to resolve a legal grievance? Or is there a way to take a case to court, without breaking the bank? 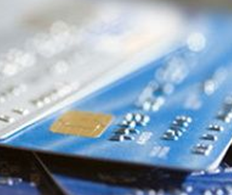 Credit status is very important as it has a direct impact on your financial capabilities. If you are drowning in debts, then you should take solid steps to clear all your debts thereby getting your financial credibility back in perfect shape. 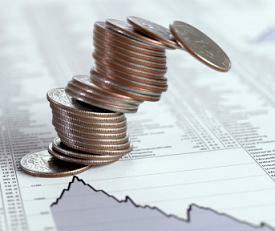 One of the most commonly use methods in managing your debts is debt settlement. It is the process of negotiating with the creditors to lighten up the load of credit repayment. Debt settlement is legal, but you should be very cautious with the people you deal with. Debt settlement is not a simple thing and so you should carefully think about it before making up your decision. Recent announcements have confirmed that the Eurozone is about to head into a double-dip recession, after the GDP fell by 0.1% in the third quarter. When it seems like the whole globe is sinking further into debt, which countries are really suffering from this economic crisis? In the developed nations, the UK has the accolade of largest debt-to-GDP ratio. With that in mind, it’s shocking that the economy is keeping relatively stable. This is largely thanks to Britain’s independent state of mind. In simple terminology, invoice factoring is the situation when company sells all their receivable debt to the other companies. Whenever the company raises invoice to the debtor, a similar copy is forwarded to the factoring company. Then, the factoring company will immediately pay set percentage of the invoice value, which is usually in the range of 75 - 80 percent. The rest is paid to client, once debtor pays the invoice. A factoring company usually takes percentage fee varying from 2 - 6 percentage of the bill value, and that’s how the factoring companies make money from the deal. Nobody starts a business in order to lose money, but here are four ways new start-ups do that lead to preventable losses. Watch what you’re spending by setting and adhering to a budget. It may sound like common sense, but if you’re not careful your rationalizations about it being a startup cost will bury you in debt and put your company in the red. Your new business does not need top of the line in everything at the very beginning. Start small and build up, just like a newlywed couple. You may have to lease a copier instead of buying one or work out of your basement before leasing office space in the finest corporate building. As your business grows, your expenses can grow, but don’t put the cart before the horse. You have a vision for what you would like your business to be, but don’t expect to get there on day one. It is possible to get overeager after some glimmers of success and grow your company too fast. 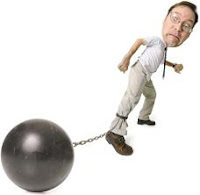 Doing so depletes resources and can, worst case scenario, lead you into bankruptcy. To illustrate, consider two companies that began as local sensations: one made doughnuts and the other ice cream. Both began with one person or family and a recipe. Both were beloved by all who tasted their offerings. Both expanded and developed more efficient production methods as demand for the product increased. That’s where the stories go separate directions. The doughnut company expanded to a region, then a nation (where it quickly became a public company on the NYSE) and then internationally. The brand and the products saturated most markets: convenience stores, grocery stores, fund raising and stand-alone locations. In so doing, the profits plummeted and the novelty of the doughnuts wore off. They were no longer a special treat because they could be purchased anywhere at any time. The quality didn’t change, but the demand no longer outweighed the supply. At peak performance (when the expansion increased exponentially), shares of the stock were trading just above $46 at a volume of 0.87 million. Currently, shares are trading at just over $6 at a volume of 0.44 million. The ice cream company, on the other hand, chose to grow at a snail’s pace, preferring to leave customers begging for more rather than go into debt. Started 30 years earlier than the doughnut company, the ice cream is currently sold in only 20 states in the US. It was in business for more than 50 years before expanding outside of the town where it began, but it has never failed to make a profit, even during the Depression. Starting a business is like starting a marathon. Pace yourself or you won’t make it to the end. This is closely related to the failure to control expenditures. When children hear that one of their friends’ parents owns a business, the immediate assumption is that the family is rich. Entrepreneurs know better, but some start a business with that goal in mind. Be careful not to mix your personal financial situation with your business finances or lines will blur and books won’t balance. The IRS frowns on such things. You may be tempted to give yourself a raise when personal finances get tight. Don’t do it, at least not until the business has profited enough to allow that additional expense. A guiding thought to help you is to ask yourself if the company can afford to give all the employees the same percentage of a raise at the same time. If not, wait. In the quest to gain and please new clients, some start-ups fail to follow up on past due invoices. Studies have shown that the longer an invoice is past due, the less likely it is that invoice will be paid. Unpaid invoices are a loss. Make follow up phone calls. Send second notices. Document everything, and when necessary, call in a debt collection agency to help. Even after paying their contingent fee, collecting some of a debt is better than collecting none of it. Tiffany Marshall is a freelance writer, writing on behalf of debt recovery companies like Direct Recovery. Her brother is a vice president of corporate banking and provided most of the tips for this article. Bouncing checks or overdrawing an account can also show irresponsible behavior and should be avoided at all costs. • Students should put money on deposit to get a secured low-interest credit card. They should use this card only up to 30% of the balance and pay off the borrowed amount at the end of each billing cycle so that they will not be charged any interest. • If electronics, furnishings, or appliances are needed during the school term, students should take the small installment loans that are offered, especially if they are interest free and pay them off over the next six month period. Even if parents are furnishing the funds for repayment, it is a good idea to purchase these large ticket items in the student’s name. • Students should keep all approved credit sources open even if they are no longer needed in order to keep a high line of credit available. The cumulative amount of credit on open cards does make a difference in the strength of a credit score. The length of time that an account has been open is also factored into a credit rating. • If studies allow, students should get a part-time position to establish a work history before graduation. This can work to prove that they have the means to make payments and can show responsibility and drive. • Students may want to take out a small loan for a portion of their college tuition or expenses. Financial institutions make getting a loan for educational purposes much easier and the interest rates are usually much less than traditional loans. These funds can be repaid quickly so that very little money is wasted on interest, but it is best to stretch the payments over a six month period to get any effect on a credit rating. Students should be aware that building credit is difficult and takes time, but credit is so fragile that one careless move can send a credit score tumbling quite easily. Tardiness with paying bills, a missed payment, or high credit card balances carried forward each month can decimate a wonderful score in less time than many think. 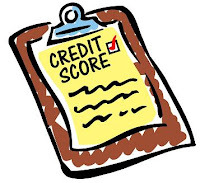 Those working to raise their scores should get a free credit check online at least every six months to avoid inaccurate entries on their records and to make sure they are always headed in the right direction financially. Jennifer Lewis writes for a site that has information on women’s college scholarships and believes college is a great time to begin to build good credit. 1. Pay more than the minimum amount: It is a credit card rule that you need to make a minimum payment in order to stay current on your accounts. But if you have already accumulated a huge amount of debt burden, you should look beyond paying the minimum amount each month. Go and save money to pay more than the minimum amount. Though the banks or the financial institutions will want you to make the minimum payments only in order to drag on with the interest rates, but don’t fall a prey to such bank tactics. Make sure that you pay more than the minimum amount and get rid of debt faster. 2. Prioritize your debt amounts: As you make a list of what you owe to your creditors, try to prioritize the debt amounts in an ascending order. Make a list of the debts with the highest amount and the highest interest rate so that you can have an idea of the amount you need to begin paying off your debts. 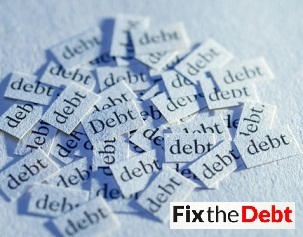 As you make a list of the debts, start paying off and reduce your debt burden. 3. Borrow against your savings amount: You must have saved a lot of money while you are earning. If you have incurred unsecured debt, this is the time you should borrow against your savings account. Use this money to pay off debt as it will be an added income at that point of time. 4. 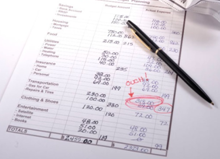 Make a budget: This is perhaps the most important thing that you should do before starting to pay off debts. 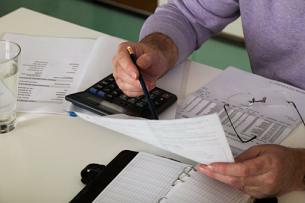 Implement a budget and calculate your income and expenses. 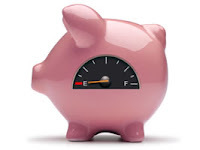 Determine how much you need to save each month to pay off your debts affordably. Try to stick to your budget as much as possible and evaluate your budget at the end of every month. 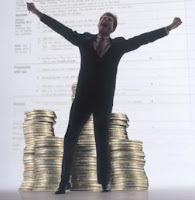 Thus, if you are keen to pay off debt on your own, consider taking the above mentioned steps. You just need to be careful enough so that you do not default on your payments after you start handling your debts on your own. Tax debt help is available to those who find it difficult to pay their taxes. You are not the only person who may be having problems with your taxes. There are so many others who are in the same situation as you are and the IRS provides some tax relief for those of you who are genuinely in financial trouble. For a lot of taxpayers the main problem does not lie in the fact that they cannot pay the IRS but in the fact that they are not very adept in handling their finances and because of that even if they can pay partial dues they do not totally understand that. This is almost similar to the council tax in the UK. If you cannot pay the IRS in full you have other options. You must pick one that will minimize the liability that you have towards your taxes which means that you should pick an option where you have to pay the minimum penalties or interests. This is why you must have a good understanding of the tax penalties that the IRS can charge of you. 1. Failure to file: This penalty is 5% each month and may go up to 25% of the total amount of money you owe. If you understand this you do not need to go to someone for professional help to resolve tax debt that you have. You can do it yourself. This penalty is charged if you fail to file or pay your taxes. 2. Failure to pay: The penalty that you have to pay if you fail to pay your taxes is 5% each month of the total amount owed to the IRS. However, this penalty too can go up to 25% if you do not pay for long. A lot of individuals think that if they cannot pay it is better to not file at all but this will not get you any help with IRS debt. Instead, you may have to pay extra money with all the penalties and interests that will accrue on your already existing debt. You have spent a lot on your Christmas presents, delicious food and entertainment. And now, it's another new year, another new beginning. If you sensibly do your household budgeting for this year, your past debts will not become a burden for you anymore. January is the month of taking resolution to be debt free. Many government as well as private organizations which provide free debt advice has revealed that each year they get more and more calls in January seeking advice to be debt free. It has been always a busy time for debt experts. Though it should not be like this ! People with bad credit can get financial help in the form of bad debt loans. This help them to use the funds for their personal need. Bad debt loans offer the people with bad credit, competitive interest rates and terms. When you are in bad debt, you can regain your financial strength by applying for bad debt loans. Your personal finance is the most important matter to you. If you are running through a bad debt you will have to chase your dream until you rebuild your credit. But if you go for a bad debt loan you will be able to reach your personal desires without waiting for a long time. Normally, you can avail both secured and unsecured bad debt loans depending upon the provider. If you are a homeowner with bad credit and thinking of applying for a secured bad debt loan you will get large amounts at a low interest rate. And if you are not a homeowner or a tenant you can take the advantage of unsecured bad debt loan. Even, sometimes bad debt loans are available for business purposes. To start up a business or or to manage any business related need, you can go for this type of loan. The most interesting fact about bad debt loans is it help people with bad credit to reach their need and desire in their financial crisis as well as it is an indirect way to rebuild their credit score. You should not forget about your bad days and handle your finance carefully. Though this is a loan, it always comes with very easy repayment schemes. So, if you repay your loans in proper time and handle your finance tactfully, it would surely alter your bad credit into a good one. Consider bad debt loans as a tool for your credit repair and you would be advantageous for you. If you are really thinking of applying for bad debt loans, you must read all the terms and conditions provided by the lender for this purpose. It should be very transparent. Check out each and every point of your deal.....check the interest rates, repayment schemes, and other related issues. Bad debt loans are very helpful for the betterment of your credit score and for an assured debt-free life. It would make you financially strong and you will be able to stop struggling for financial freedom. Ten largest U.S. based credit card companies have agreed to provide a debt management plan, known as Call to Action, to consumers struggling to repay their debts. When debtors are unable to pay off debt, they often hesitate to seek best financial advice or help form professional debt relief companies. This hesitation leads to accumulation of more debts as a result of which there has been a significant rise in credit card defaults and charge-offs. The new plan will enable individuals in distress to pay off their debts by allowing them a lower repayment rate. The National Foundation for Credit Counseling (NFCC) had issued a “Call to Action” in September 2008, asking creditors to provide people in extreme financial hardship with reasonable repayment terms. Call to Action encourages individuals seeking best financial advice and debt help to enroll in a debt management plan. 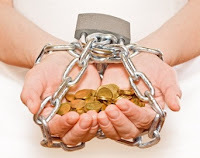 How can debtors benefit under the Call to Action system? • Counseling session: A certified counselor will provide consumers with free best financial advice after considering factors like his sources of income, living expenses, and monthly debt liabilities. • Lower interest rate: When consumers enroll in this debt management plan, creditors will reduce the interest on the debts, waive off late charges and make favorable adjustments to the finance charges. This modified plan will not only provide free best financial advice and reduced rate of interest but also allow debtors to save each month $25 to $200 more than a regular debt management plan.